In the early 2010s, Prince had spent a fairly long time performing live with a band composed of a series of musicians which were well known, both for him and for his public. The inner core included Morris Hayes on keyboards, Cora Coleman & Josh Dunham on drums and bass, with Cassandra O’Neil on keyboards, and the voices of Shelby J, Liv Warfield and Elisa Dease. They had been around since the beginning of 2006, and Cora & Josh were in the picture until the summer of 2010. After the summer, the 20Ten tour band changed to replace them by the powerhouse which is John Blackwell on drums and a talented newcomer on bass: Ida Nielsen, with the addition of the golden hands of Renato Neto. This was, in short, a return to the One Nite Alone/Musicology bands, with Ida instead of Rhonda Smith. But looking at the big picture, you could say that, roughly speaking, Prince had been working with pretty much the same musicians for the first decade of the XXI century. 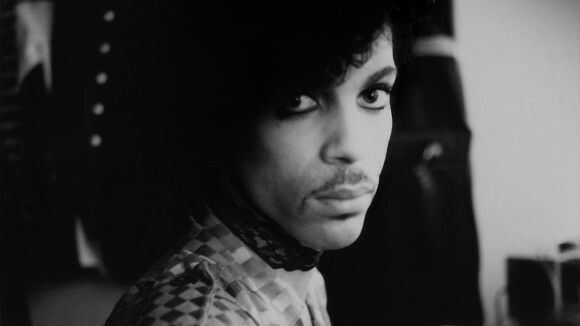 Then the situation changed upside down in a short time: according to reports, Prince discovered Hannah Ford playing drums in youtube, and contacted her in order to work with him. And when asked about possible female guitar players for a new band, Hannah suggested to call Donna Grantis. So there you have it: Prince kept Ida Nielsen as bass player (an admittedly reasonable decision, give her fantastic capabilities for the job), and recruited two young players for a new and initially untitled project. Little did we know, at the time, that Hannah’s husband (Joshua Welton) would become the first ever producer of a Prince album (other than Prince). After the usual series of exhausting rehearsals (in late 2012-early 2013 ) that has become an use for Prince’s bands, Prince decided to introduce the band in a live performance at the Dakota in Minneapolis (January 18, 2013), and short afterwards at a tv broadcast during the Late Night with Jimmy Fallonshow, on March 1st, 2013. This paved the way for the Live Out Loud3rdEyeGirl tour in Spring 2013 (in Canada and the USA), and then the Hit & Run tour in Europe in Spring/Summer 2014, together with a few one-off shows in the USA as well. Looking back to those months, it seems clear that Prince decided to make a big change in the band. Whether this was due to boredom with the old ensemble, or the fact that he was tired of his own sound at the time, or simply he wanted to change upside down his working environment, I don’t know. Fact is that someone considered as basic in the old bands, as Morris Hayes (who had been for a veeeeeeery long time in Prince’s shows, with different companies) disappeared for good. 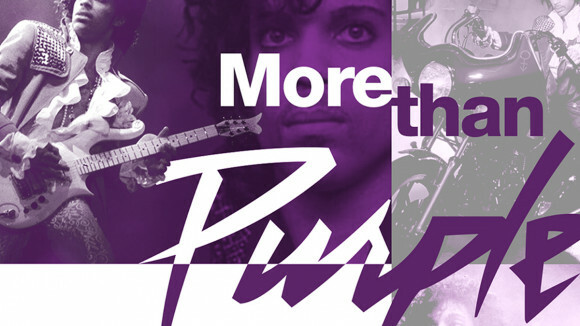 Furthermore, there was another key element in this change: the “Prince” brand was remarkably absent. From the name of the band (which appeared mentioned most times as 3RDEYEGIRL alone, rather than Prince & 3rdEYEGIRL) to the promotional appearances, where only the ladies have been appearing often. Of course Prince had a leading role onstage, but for whatever strategy, he wanted to omit his name associated to 3RDEYEGIRL. The reasons for this recent identity game are hard to guess: one recalls the many names Prince has used to hide in record credits (Jamie Star, Joey Coco, Camille, Tora Tora, Paisley Park, etc), and also the infamous idea of releasing The Black Album without any reference to Prince… not to mention his years as 0(+>. All of that was seemingly gone with the wind after he had returned to massive superstardom in 2004. Hence, why the identity games again, in 2014? To try and answer this question, we have to look at the record hinted by 3RDEYEGIRL since the Spring of 2013. 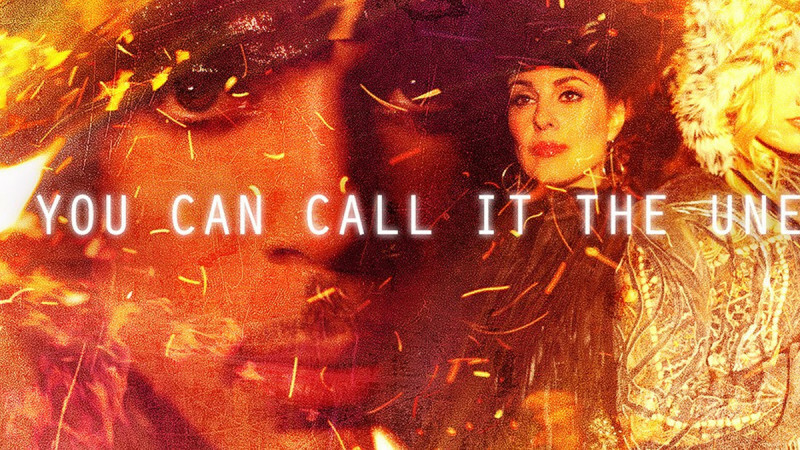 At the time, the usual Prince speakers started to mention a new album by 3RDEYEGIRL, entitled PLECTRUMELECTRUM (written in different ways: two or one word, all capitals or not…). Obviously the whole project was clearly guitar-driven, in accordance with the sound of the 3RDEYEGIRL band, and thus the different tracks which were initially mentioned for inclusion had such a flavour. The idea might be “Prince is going back to the roots of rock”: make a new band with unknown musicians, plug your guitars and your microphones, rehearse like crazy, and record on the fly. Was this Prince’s recipe to recover inspiration after a decade of superstardom? As anyone would expect, onstage this band worked great, because they had a tremendous playground: Prince’s catalogue include many songs which are particularly well suited for this kind of band, and the purple guy has a deserved reputation for making a band sound great after neverending rehearsing sessions. So it was hardly surprising to see plenty of praising reviews of the 3RDEYEGIRL shows. But writing new songs was another story, as I stated before: one thing is to do creative renditions of old Prince songs, another is to create new songs which are up to their job in that context. And now, let’s go to the album, PLECTRUMELECTRUM, which was released together with Prince’s Art Official Age at the end of September 2014, by WB. The best songs can hardly be considered rock -and have a point in common, and not a minor one: both are sung by Prince- : the opening number, WOW, is Prince’s own version of The unexpected, a song previously included in Liv Warfield’s eponymous album in a quite different take. WOW is high quality AOR and this rendition does justice to the material, although Liv’s superlative voice might be more appropriate for a song like this. And the other great song of the album was written by Alice Smith, Another love. 3RDEYEGIRL’s ANOTHERLOVE uses the samemelody, but it is very transformed from the original, by adding a reggae vibe, and in this case I can hardly say wich one I prefer. Regardless, I think both WOW and ANOTHERLOVE will be favourite of fans when performed live, as we are dealing with music with loads of potential for live improvisation. However, Prince’s voice is not a guarantee of quality, and curiously enough, the worst song -by far- in the album is also sung by Prince: PRETZELBODYLOGICis a pedestrian track with all the cliches of rock and none of its charms. I was unimpressed the first time I heard it, and the more I try, the less I understand how an underwhelming sketch like this can be included in a fully fledged album with Prince involvement (and taking into account that other, better songs have been excluded: for instance, LIVEOUTLOUD). If we want to play the “categories game”, then then the real rock numbers here, are AINTURNINGAROUND, PLECTRUMELECTRUM, FIXURLIFEUP and MARZ. AINTURNINGAROUND is slightly better than PRETZELBODYLOGIC, although I think there’s vast room for improvement (and I am quite unsure that Hannah’s voice fits in there). PLECTRUMELECTRUM, an instrumental song originally written by Donna Grantis (and with plenty of, ahem, motifs for inspiration coming from other bands) is truly enjoyable, and in my opinion the track that reflects more adequately the spirit of the album. Furthermore, if the reports are true (live recording in studio, straight to record), as shown in the video filmed by Madison Dubé, then this might actually be a path to continue in future efforts. PLECTRUMELECTRUM, FIXURLIFEUP and MARZ. AINTURNINGAROUND is slightly better than PRETZELBODYLOGIC, although I think there’s vast room for improvement (and I am quite unsure that Hannah’s voice fits in there). PLECTRUMELECTRUM, an instrumental song originally written by Donna Grantis (and with plenty of, ahem, motifs for inspiration coming from other bands) is truly enjoyable, and in my opinion the track that reflects more adequately the spirit of the album. Furthermore, if the reports are true (live recording in studio, straight to record), as shown in the video filmed by Madison Dubé, then this might actually be a path to continue in future efforts. In a related vein, FIXURLIFEUP fulfills the promises, and has shown in many performances that it works great onstage. Seemingly Prince must agree on its value, since different versions and even a remix have been released in the last months. Finally, MARZ is a brief but pleasing surprise of rock-number-in-a-hurry. Nothing groundbreaking but still delightful: less than two minutes, an easy melody of the whole band making big noise, and then a sudden stop. Short and smashing. That’s it for the rock in PLECTRUMELECTRUM. What is missing? Well, for starters we have plain pop under the form of a quiet almost-ballad, WHITECAPS. I was nicely surprised here by the voice of Hannah, who does her best performance in the album. The song is something of a grower, and althugh it has a very standard kind of sound, you will surprise singing it long after finishing the album. STOPTHISTRAIN is probably the best potential single of the album, not because it is the best song -clearly not the case-. But the easygoing melody is catchy and Hannah makes an effort to get into the vibe which succeeds to convey the song to your brain. Anyway, one can’t avoid to think that the atmosphere of this song is a bit far-fetched in the context of the album. Something similar -does it fit here?-could be said of TICTACTOE, a song that seems to have been directly lifted from one of the albums of my beloved Cocteau Twins. I don’t know if 3RDEYEGIRL were just inspired by this band, or were actively trying to write a song along the same lines. Regardless, it is a beautiful -if ultimately unmoving- melody, where the main problem is clear : the otherworldly, immaculate voice of Elizabeth Fraser is missing -although honestly one would expect her to appear at any point, such is the similarity of the vibe-. Fortunately, the album ends with an upbeat song which brings back all the main purple forces: funk and rock & roll and a big sound, one of those tracks that Prince nails onstage with any band. It is the “standard” version of FUNKNROLL -as opposed to the remix included in Art Official Age. This song is far from the cure of cancer, but it does work great, also to finish the album by reminding the listener that Prince can do just about anything in music. In conclusion: PLECTRUMELECTRUM is not a great, consistent rock album with Prince and a band of young musician ladies. But it does contain some great tracks, and overall, it seems to have been a way to re-ignite the good ol’ Prince talents to get back on the creative board. The company of new people is probably one of the causes, and consequently, I for one welcome this album: the final results are below the potential, but it’s always good to see Prince having fun with music. A long time ago I acquired a bunch of original black and white negatives. 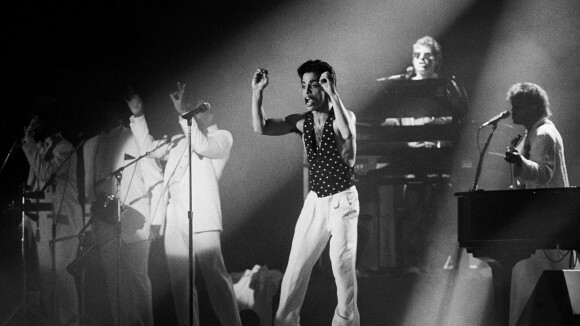 After some thorough investigation one of the strips appeared to be photos from Prince & The Revolution Parade Tour show on August 22, 1986 in Stockholm. The first standalone release from the semi-mythical vault presents a portrait of the artist in his element, in possibly the only place he was ever completely comfortable or felt at ease letting his guard down. As an icon of not just music but popular culture in general, when you mention Prince to anyone who isn’t necessarily a fan, they will more than likely conjure up a very specific image of him in their mind. It will relate to a particular period, and be linked to a particular color.